I developed this technique while helping a couple of friends of mine who have been going through the ringer in their romantic relationship. It was so spontaneous and effective, and I immediately knew I had to start offering it to clients. You can have the 40 minute session (that’s enough time to get this all done) with me or with one of the groups I channel. Either way, we will be working with one issue, one emotion that’s stuck in your field, and we’ll determine exactly what that emotion is. Then there will be time for you to feel the emotion clearly and without judgment as me and/or my guides hold space for you. Once you feel calm and neutral, we’ll move on to step three. 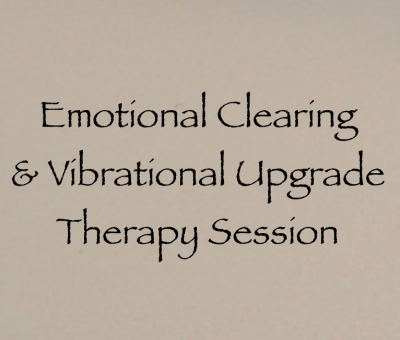 Step three involves replacing that cleared emotion with the vibration that is its exact opposite. We’ll determine what that is, where you can locate it in your chakras, and how to activate it. I’ll also hold space for you as you activate the vibrational upgrade.